Spiral galaxy Messier 106 is unusual. It has four spiral arms instead of the usual two. 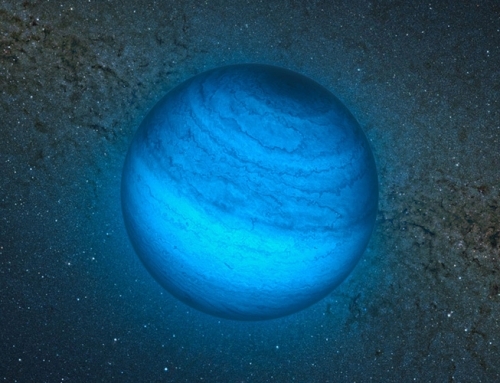 The normal pair are the ones with the string of blue towards their ends – hot young stars in an early stage of life. 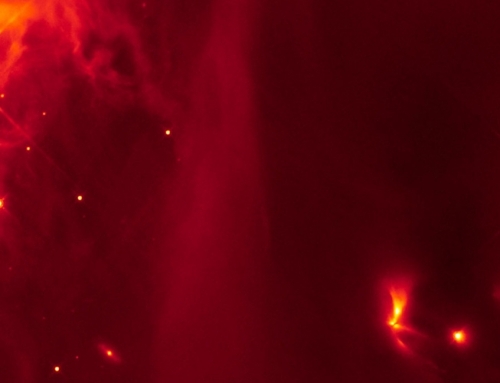 The extra pair are made of hot gas, which seems to be excited by two jets coming from the centre of the galaxy. The cause of the jets is a supermassive black hole sitting at its heart – this is sucking in gas at a great rate. The gas spiralling in to the black hole heats up and emits powerful radiation. The process works like a laser, with water molecules in the gas being excited into a more energetic state by the power of the flow and then discharging their energy in a burst. As the jets travel through the galactic matter, they heat up the gas around them and it bursts outwards at an angle to them, flowing out of the plane of the galaxy. The gas near the centre of the galaxy is denser and more tightly-bound together, and so it tends to keep a straight shape, pushed out along the line of the jets. The lighter gas further out is blown away, and so seems to curve out in a wispy trail. The video here shows the process. Situated just over 20 million light-years away, Messier 106 is one of the brightest and nearest spiral galaxies to our own. It is not so far from the Great Bear, Ursa Major. 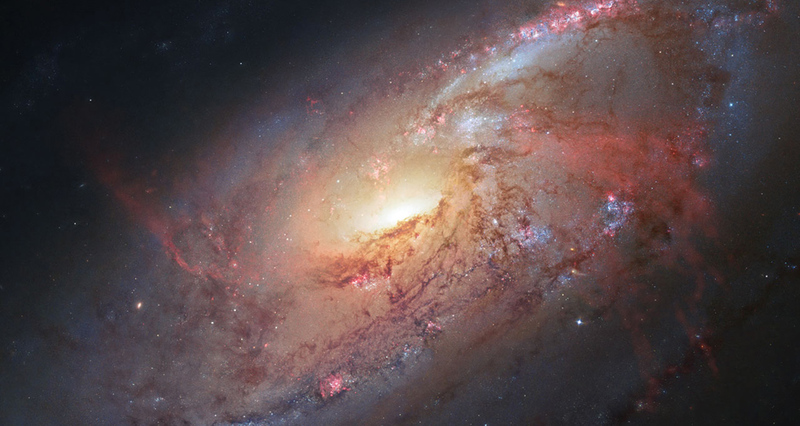 Messier 106 was not discovered by the 18th-century astronomer Charles Messier, but by his assistant, Pierre Méchain. However, the galaxy was never added to Messier’s catalogue in his lifetime, and only joined the M list in the 20th century. This new image of M 106 comes from the NASA/ESA Hubble Space Telescope – with a little help from two amateur astronomers. One of them, Robert Gendler, retrieved Hubble images to form a mosaic of the centre of the galaxy. He then added in further images of his own and from fellow photographer Jay GaBany, to fill the gaps.